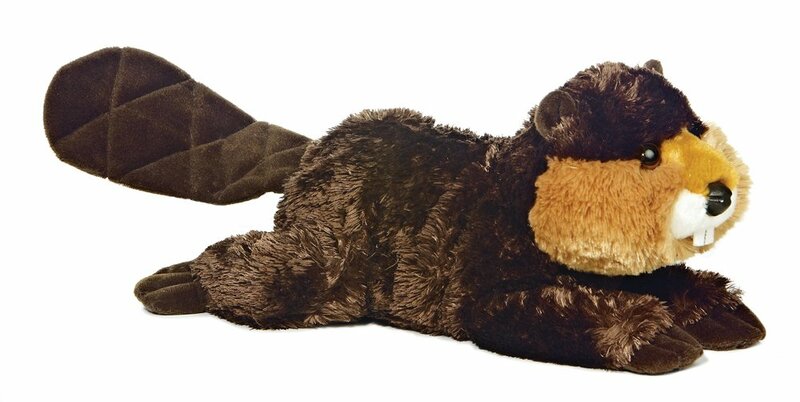 12" Beau the busy beaver is a realistic stuffed animal beaver - part of theFlopsie Wildlife and forest Collection Aurora only uses lock washer orembroidered eyes and nose for safety. From the Manufacturer Aurora World 12" "Beau" Beaver Flopsie. This dark brown beaver has two frontteeth with soft, floppy and cuddly features. Aurora World is internationallyknown as a leading manufacturer of plush.